READING, UK (CelebrityAccess MediaWire) — The future of the Reading Festival looks bright after organizers, Festival Republic have secured its home by purchasing a remaining share of the land used for the festival site. Virtually all the property used the August rock campout is now owned by Festival Republic, formerly Mean Fiddler, following the sale of a 65-acre plot. 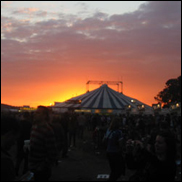 The purchase allays concerns that the festival may have been forced to move from its current location after the then owners of the land put the site up for sale for close to £5 million, hoping to lure a developer. Extensive flooding turned out to be a stick in the mud for development plans however and festival organizers managed to subsequently acquire the property.